The Clarins laboratories have struck gold again! If like me you are searching for the perfect way to obtain that coveted healthy glow without resorting to tanning beds, you will be pleased to know about my latest discovery: the Clarins Radiance-Plus Golden Glow Booster. The French skincare brand known for its efficient self-tanning line, which includes the famous Delectable Self Tanning Mousse, Delicious Self-Tanning Cream and the Self Tanning Instant Gel, has come up with another wonderful innovation to fix our ghostly pale skin. As much as we like to add a tanning product to our daily beauty routine when April comes around, sometimes it can be quite tiring to introduce another skincare product to the already long moisturiser-serum-sunscreen-primer-foundation-concealer mix. 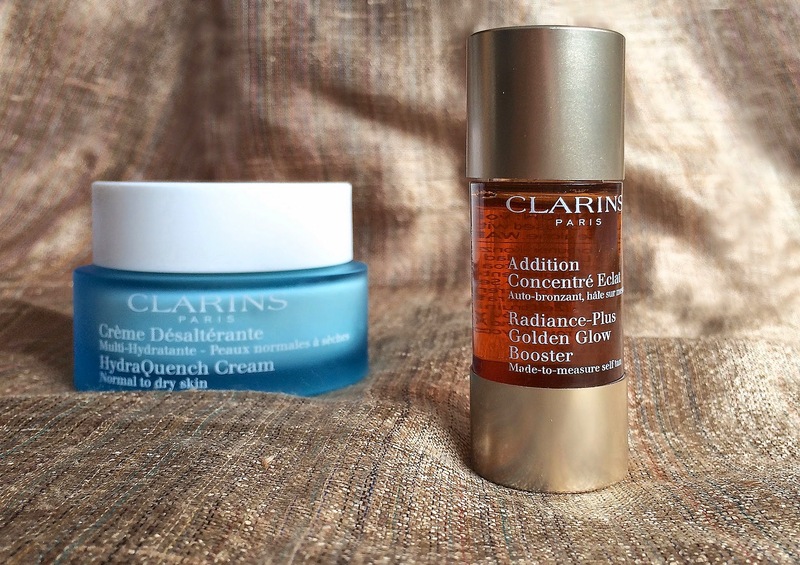 The lovely thing about Clarins' latest release is the fact that it's so easy to use. You only need to add three drops of the liquid formula to your favourite moisturiser in the morning and at night to achieve a sunkissed glow. It's simple as that! You can even adjust your tan by managing the amount of drops you use. Made with 99.8% natural ingredients, the Golden Glow Booster doesn't have the overwhelming self-tanner smell we all loathe. I have been using this newcomer for about a week and I am so delighted with the results. My face now has a subtle warm complexion that is very natural looking. I am so glad I discovered one hassle-free way to keep my face glowing all year round.